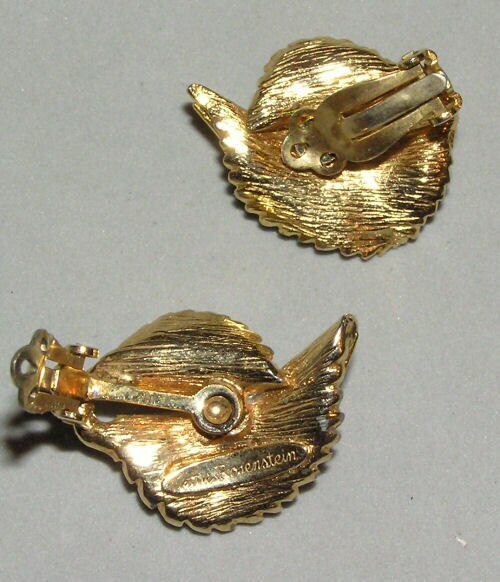 Vintage costume earrings from famous maker Nettie Rosenstein. 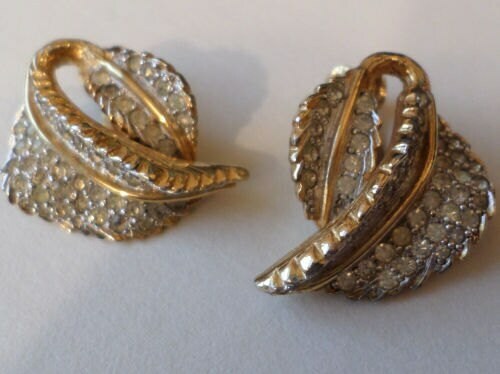 Double leaf form clip earrings with Rhinestones c 1950s. Pave rhinestones are lovely! 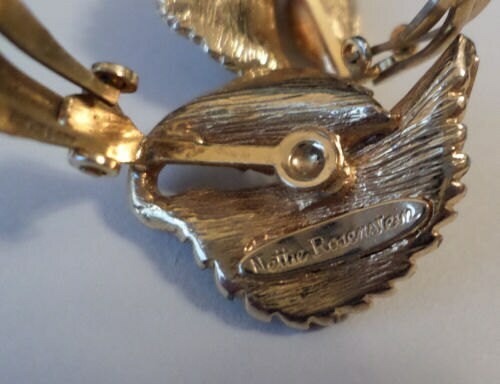 Gold tone metal. 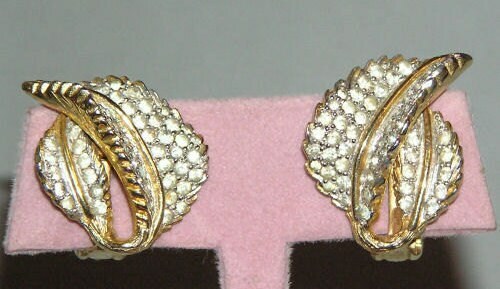 These earrings are a steal at this price!